As you may know, despite its many shortcomings, we had appreciated The Crew for the sense of freedom it gave and the size of its world, but we were nonetheless a bit wary about the sequel when we found out it would take us back to the US. After playing a preview version of the game on Xbox One X, we can say it's a lot more fun than we expected, with many improvements over the original and a new swap feature which doesn't seem to get old. It doesn't mean the game is perfect by any means, as some will find it too arcadey with all assists on (turning them off makes it way more difficult to handle but we haven't had time to test the handling withtout the driving aids thoroughly). We have brought you back no less than 15 videos recorded on site, so let us know what you think. Sorry we didn't have the time to record an English GSY Offline or to translate our preview article, but we had to make a choice. i keep forgetting this game exists. Thanks for the great videos. 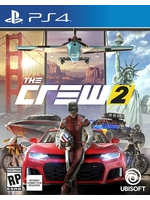 I really enjoyed the first game, despite it flaws but Crew 2 looks alot better and fun. I just hope the handling has been improved. So, no skills needed. Boring. I like the idea behind this game so I really hope they get it right this time. 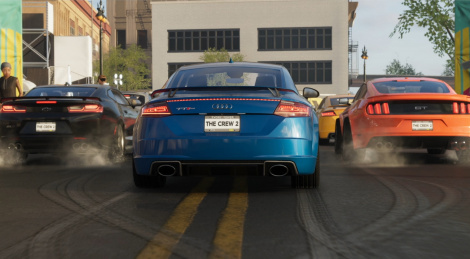 If they take enough inspiration from forza horizon games it could be pretty fun. Graphically it has a nice style. Did they do a PC beta already? I definitely want to try it.